The singer/songwriter and chairman of the Elton John Aids Foundation, who was knighted in 1998, complained about references to him in stories which all appeared on June 21 this year. He said they meant he had engaged in, or was reasonably to be suspected of having or being engaged in "immoral tax avoidance", or there were grounds to investigate whether he had done or was doing so. But Mr Justice Tugendhat said that they were not capable of bearing the meanings attributed to them, or any other meaning defamatory of the singer. 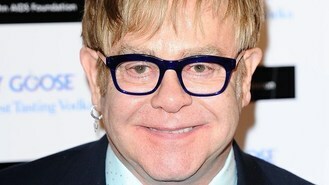 Sir Elton's lawyers accepted that no involvement in tax avoidance was expressly stated but said the imputation was to be inferred from repeated references to Patrick McKenna, of Ingenious Media, as Sir Elton's former accountant. In fact, Mr McKenna never worked for Sir Elton and Times Newspapers Ltd published a correction the following day. It also issued a clarification that Ingenious Media had not been involved in moving money offshore to avoid tax. Manuel Barca QC, for the newspaper, said that the references to Sir Elton were "fleeting" and made clear in each case that the association was in the past. In his ruling, the judge said it was understandable that Sir Elton should take exception to the inaccurate statement that Mr McKenna had formerly been his accountant, but that was not relevant to the question he had to decide. He rejected as "lacking any possible basis" the claim that the words could bear the meaning that Sir Elton had, or was suspected of being, engaged in tax avoidance.